Ramen Isshin was the latest to be checked off my “To-Eat” list, and as of today, I’ve tried all the ramen in Toronto (I think). Tucked away on College St between tacos and bars, Ramen Isshin was non-descript and somewhat hidden with their subtle signage. 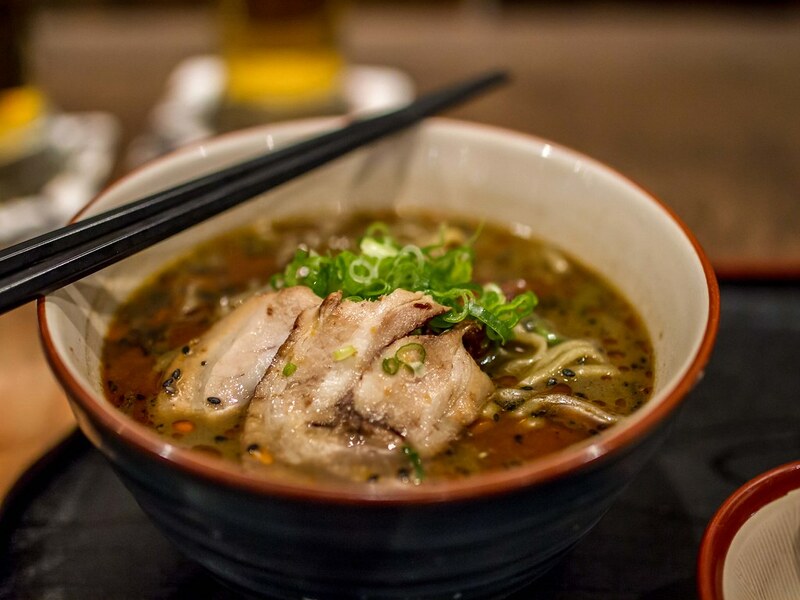 While the neighbourhood isn’t well-known for Japanese fare, Ramen Isshin could be the player to change that. 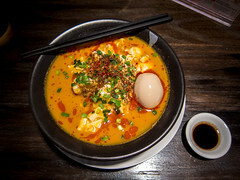 With friendly service and delicious bowls of noodles, Ramen Isshin is quickly growing in popularity and cultivating a large group of loyal regulars. I had arranged to meet Yuki at Ramen Isshin with The Hubby for dinner after seeing her Instagram posts at the restaurant. One of the owners, Adam, was kind enough to spend dinner chatting with us while we slurped away. 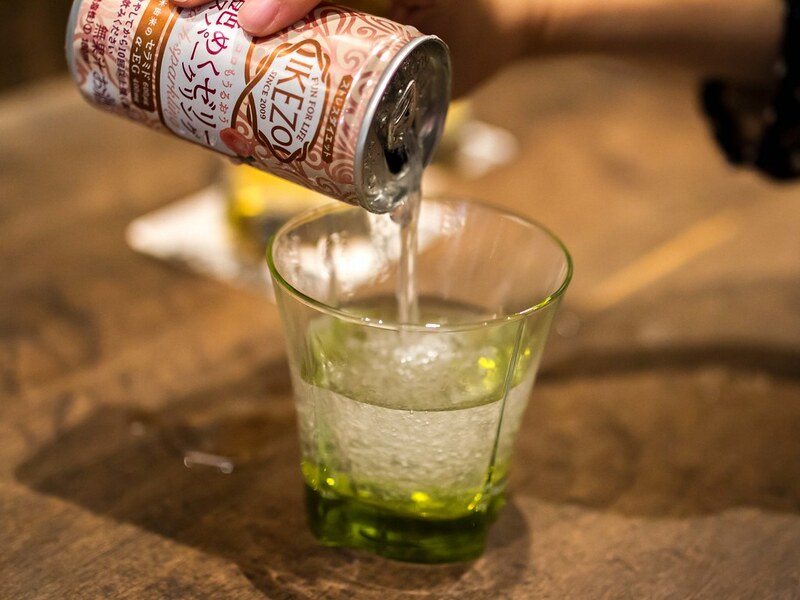 In addition to ramen, I was ecstatic to find Ikezo Peach Sparkling jelly sake on the menu. Since being introduced to the drink at Kampai 2014, I’ve been eagerly awaiting it’s arrival on menus. After a couple of shakes, the drink pours like water but sips like a jello shot. 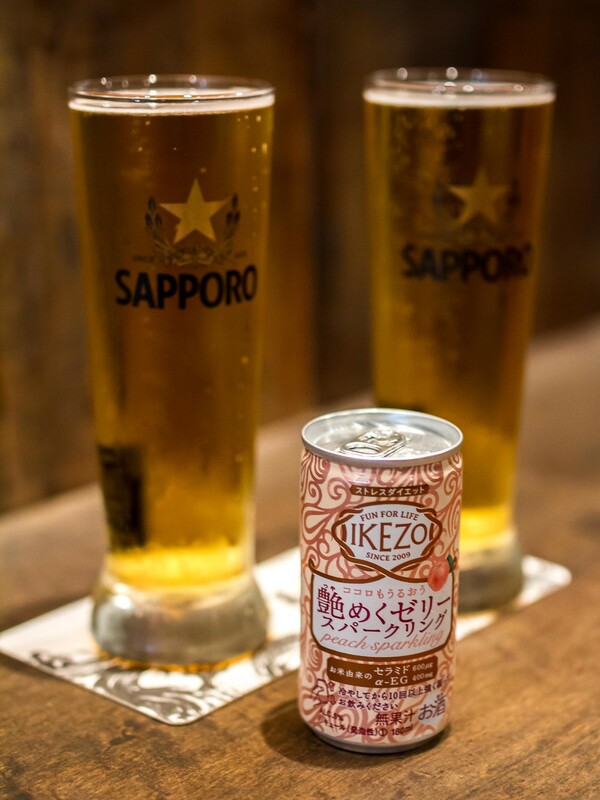 Light and fruity, it would be easy to drink these all night without realizing they are still 5% alcohol. For starters, The Hubby and I tried the Takoyaki and Chicken Karaage. 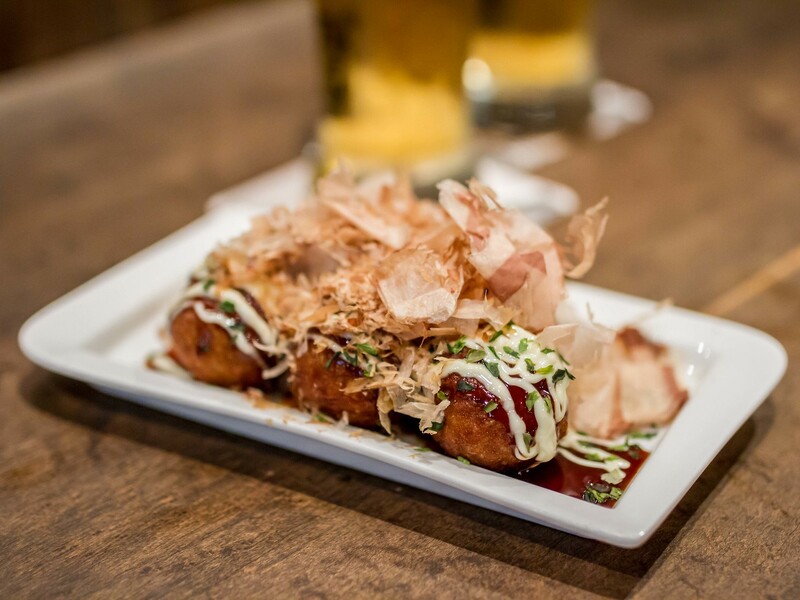 Our plate of takoyaki was generously topped with kewpei mayonnaise, sauce and bonito flakes. Each ball was crispy on the outside and gooey on the inside. 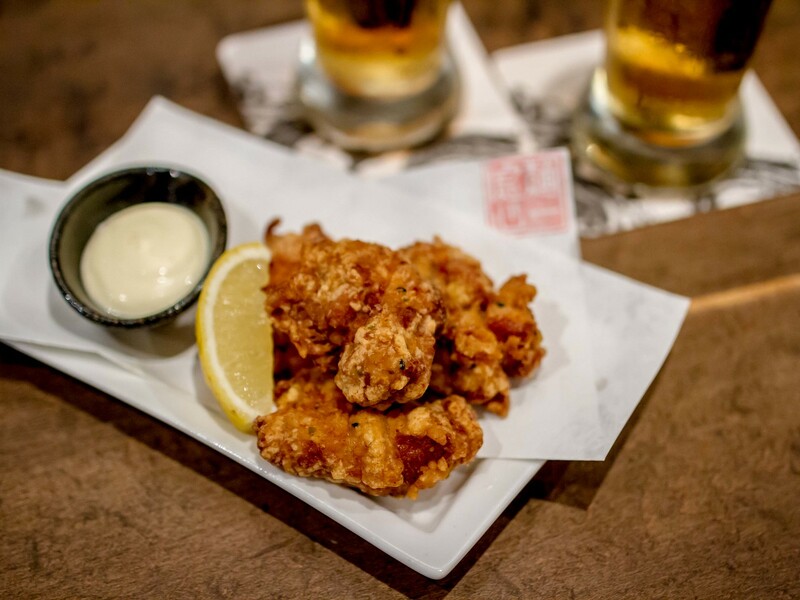 The karaage was made with all dark meat, the tastiest kind, and served with kewpie mayonnaise. I found the deep fried chicken juicy and flavourful, but the batter wasn’t that crispy. The highlight of the night was the ramen. 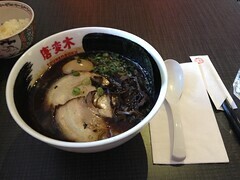 I had the Black Sesame Tan Tan bowl while The Hubby tried the Isshin Red Miso Ramen. Both bowls used thick, twisty noodles. 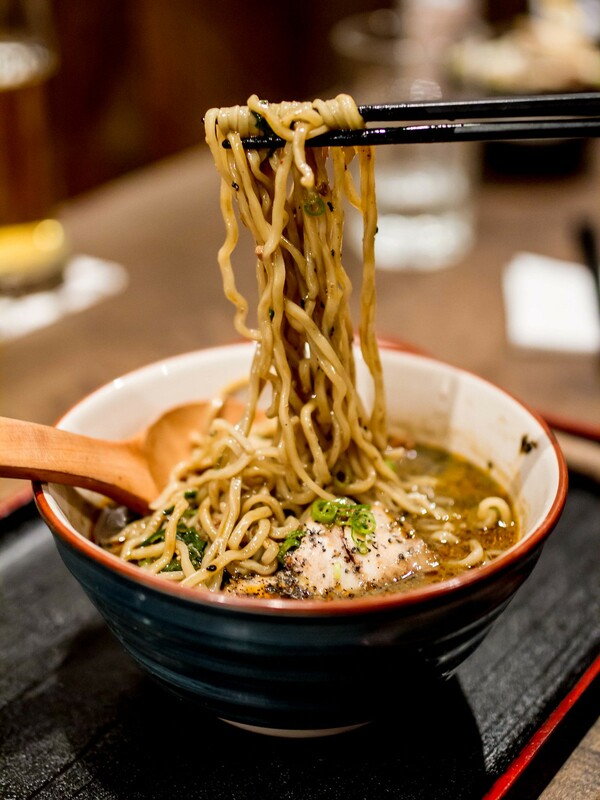 Thin noodles are used for the bowls of Shoyu ramen. My Tan Tan bowl came with fresh black sesame seeds and a grinder for the freshest taste possible. 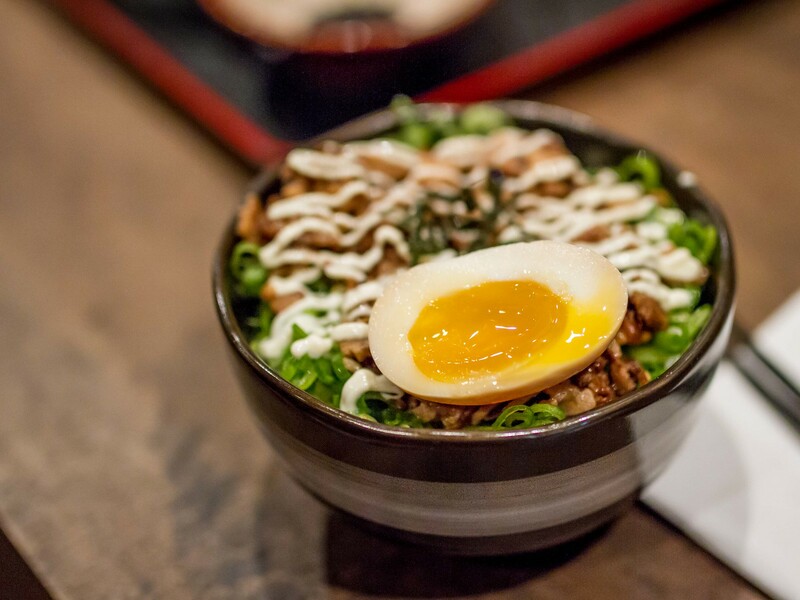 Breaking the bowl down to toppings, noodles and broth, Ramen Isshin aced two categories and came very close on the third. For toppings, the two slices of fatty rolled pork belly were perfect. I added a soft-boiled marinated egg (pictured below on the chashu), which also hit the spot. 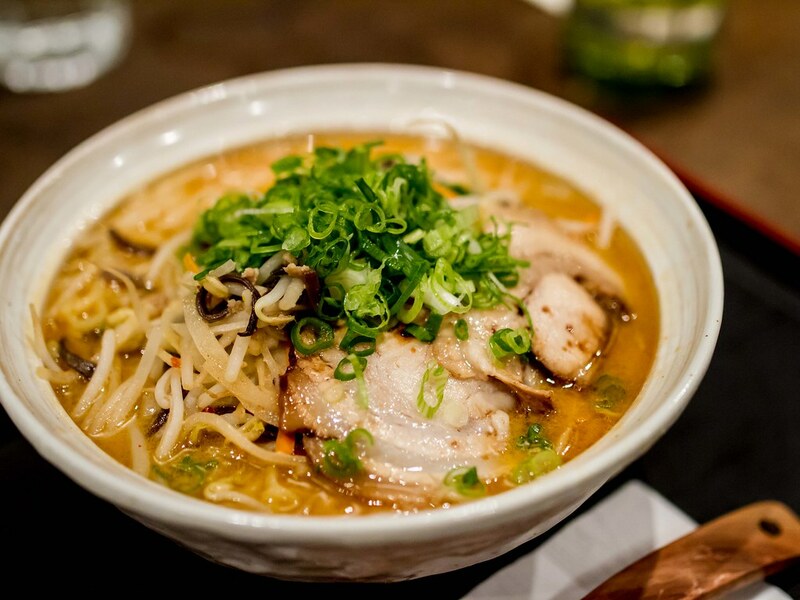 I loved the texture and consistency of the noodles, which soaked up plenty of broth. 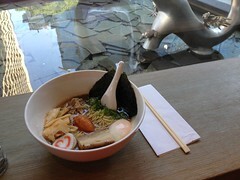 Each bowl also seemed more generous with noodles than other ramen shops in the city. 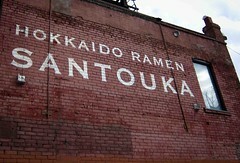 While the broth was rich, milky and packed a ton of flavour, I found my bowl on the salty side. This didn’t stop me from drinking spoonfuls, but I did need to chase each with a sip of sweet Sapporo. Compared to the Tan Tan bowl, The Hubby’s Red Miso Ramen had a much sweeter broth. Just as rich and savoury. On top of the healthy portion of noodles was a mountain of wok-fried pork, onions, bean sprouts, carrots, wood ear mushrooms. With all the vegetables, this bowl of ramen felt like a well-balanced meal, for two. A few specialties I didn’t get a chance to try this visit was the Tsukemen (dipping noodles) and Vegetarian options. 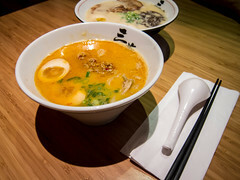 Ramen Isshin didn’t treat vegetarian options like an afterthought, but have worked to develop their broth to be just as rich and savoury as their Tonkotsu version. Hard to believe and I can’t wait to try it out myself. 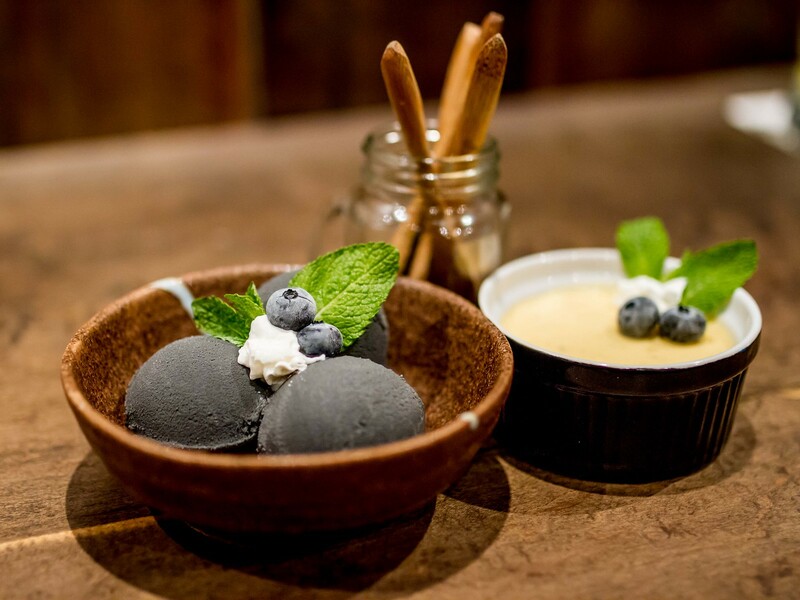 Dinner ended with scoops of black sesame ice cream and the house-made mango pudding. I had to fight for my fair share of pudding from The Hubby. Both portions and price ($3.0 – $3.8) were perfect after the large bowls of noodles.